The Landless Worker’s Movement (MST) will be awarded the Juliana Santilli prize for conservation and agro-ecology. Members of Brazil’s largest social movement the Landless Worker’s Movement (MST) will be awarded the Juliana Santilli prize for conservation and sustainable use of agro-biodiversity. The ceremony will take place on the 21st of November in order to recognize the conservation efforts of the MST in the Guaraqueçaba Environmental Protection Area, a protected area in the Brazilian State of Paraná, which includes the bio-diverse Atlantic Forest. The land occupation site, which is currently comprised of 20 families, was first established by MST activists in 2003. Previously, the occupation site had been heavily contaminated due to industrial livestock production. “The recipients of this prize are accepting the award as a way to give greater visibility to the importance of sustainable agriculture,” said Jonas Souza, one of the first MST activists to occupy the area. In an interview with Brasil de Fato, Souza recalled that prior to MST’s occupation, the region’s ecological landscape had been heavily contaminated and polluted due to the use of toxic agrichemicals. 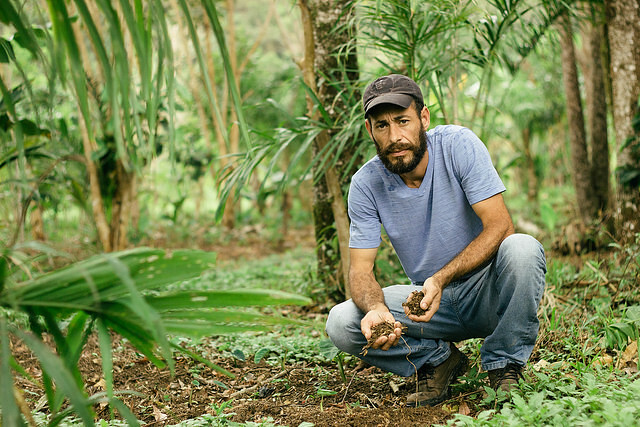 “We want to show people that it is possible to restore the environment and produce sustainable agriculture without the use of agrichemicals,” Souza stated. As a result of the 15-year long land occupation, the eco-system’s environmental conditions have enjoyed radical improvements particularly in the area of soil composition and plant restoration. “It is clear that their [MST land activists] agro-forestry methods have lead to a significant improvement in the ecological conditions of the area. It also serves as an example of how environmental landscapes can be improved and restored, when farmers elect to produce sustainably, which also provides them a greater degree of autonomy,” Said Karya Isaguirre, Professor of Environmental and Agrarian Rights at the Federal University of Paraná. Meanwhile, in addition to the ecological improvements, the MST land occupation site supplies around 90 percent of its total harvest to students attending local public schools, which plays an essential role in ensuring nutritious diets to Brazilian students in the state of Paraná. According to the Ministry of Agriculture, Paraná is the Brazilian state with the highest number of certified organic farms, with more than two thousand units. After 15-years of continuous struggle, authorities from the Brazilian Agrarian Reform Agency, or Incra, the state institution responsible for issuing land titles, are currently negotiating a deal that that would provide them with formal land deeds.